Well, that's a wrap on yet another month in 2018, folks! With the summer heat in full swing here in Southern California, I haven't done all that much shooting, I'm sorry to say. Good thing we have so many great PhotographyTalk members that uploaded some crazy good photos throughout the month of July! Let's take a look back at our most inspirational photographers for July 2018. 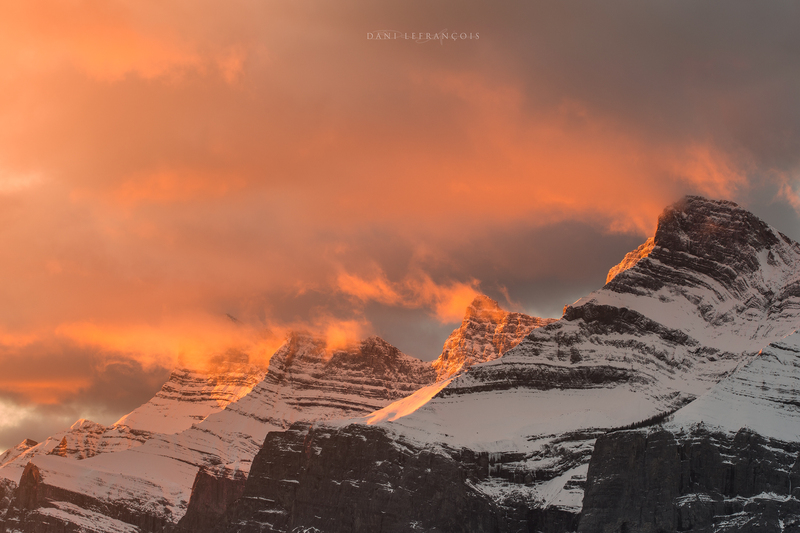 The sunlight kissing the mountain peaks and illuminating the clouds a vibrant pink makes for one dramatic shot. Those clouds look like cotton candy, do they not?! This beautiful portrait is unlike anything we’ve ever seen - and we like it! Amber Fite combines a dramatic portrait with an even more dramatic landscape as the backdrop. The two together make for a gorgeous and unforgettable shot! 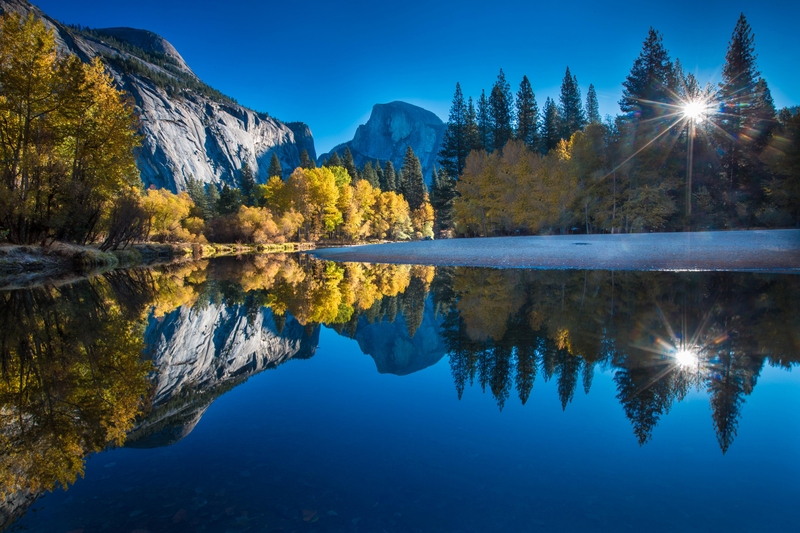 This drama-filled shot by James at ApertureXplorer offers an interesting view of Yosemite. The roiling clouds above the valley and mountains have a bit of an ominous vibe that indicates a coming storm. Paired with the soft, calm foreground, this makes for an awesome visual contrast! Joseph Watrous’ timing was on point when he took this incredible photo. 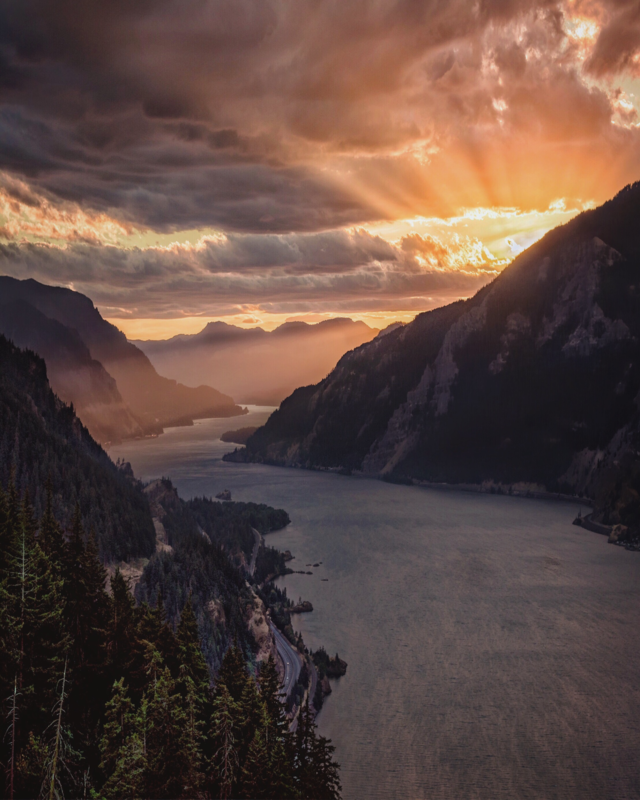 The beams of light bursting from behind the mountain are definitely eye-catching and brighten up the photo as well. The detail in those clouds isn’t bad, either! This photo by Donnnnnny demonstrates the value of dropping down low for an ultra-low-angle shot. 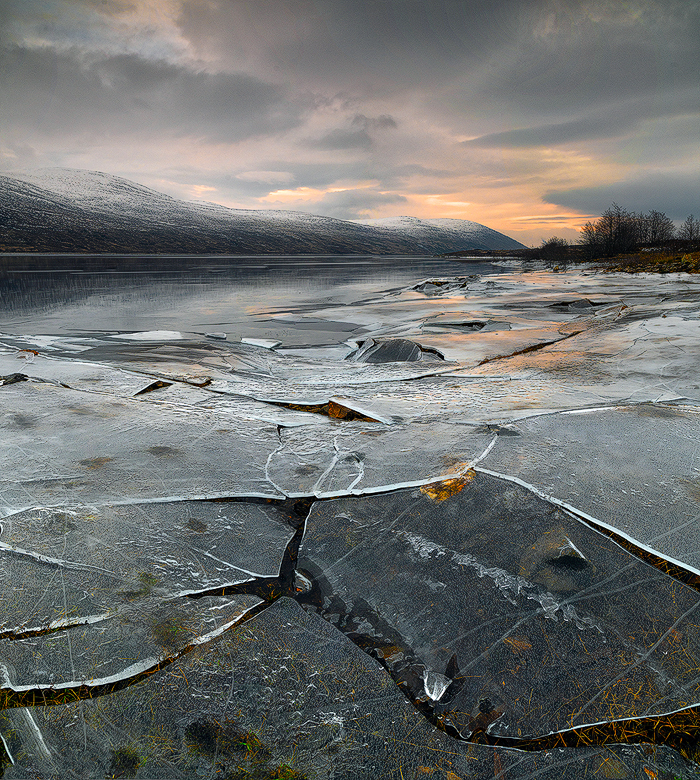 In this case, by positioning his camera right at ground level, Donnnnnny brings in the interesting shapes and lines created by the crack in the ice that lead our eyes deeper in the shot. The Acropolis is perhaps one of the most iconic structures on earth, and this stunning shot by Ansharphoto certainly does it justice! 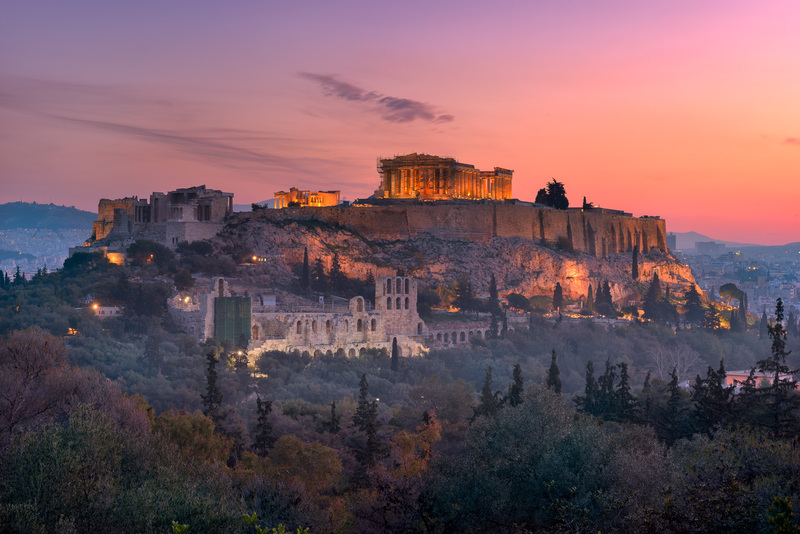 The view of the building at twilight makes good use of the soft, colorful tones of the sunset that pair nicely with the warm golden tones of the lights of the Acropolis. Just beautiful! 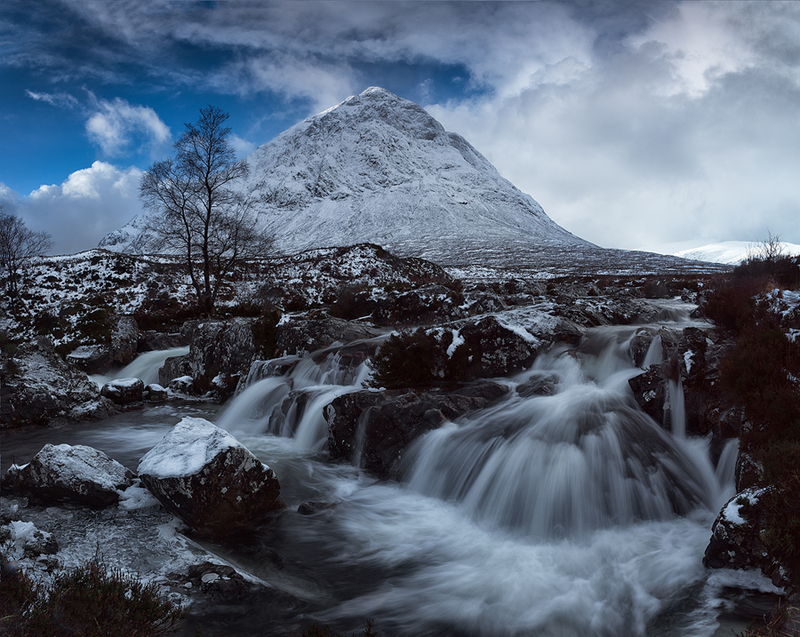 Visual weight is an interesting and effective tool for composing landscape photos. As you can see in this shot by [email protected], the size of the mountainous rock on the right is balanced out by numerous, much smaller elements like the boulders and driftwood on the left. The result? One heck of a shot! 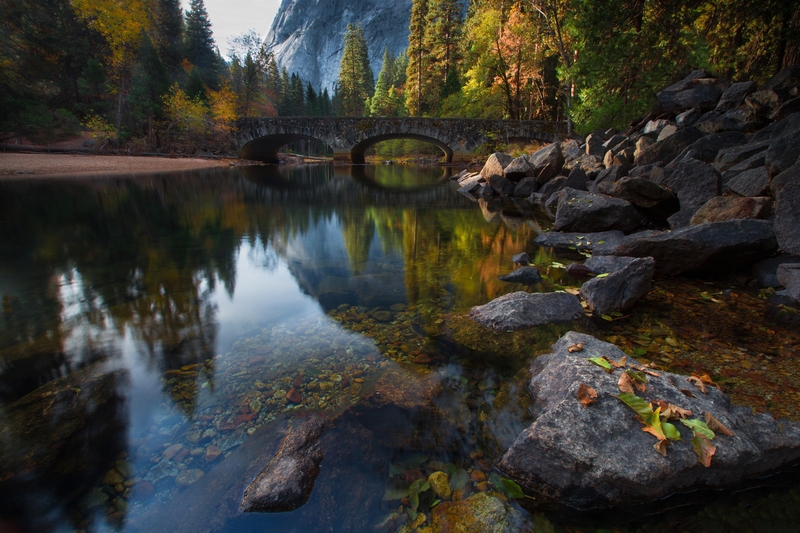 Larry Marshall’s epic shot of the Merced River in Yosemite National Park demonstrates the value of pre-preparation. As Larry notes, he took shots from different locations, angles, tripod heights, and orientations, and ended up with tons of photos, and more keepers as well. Try not to rush your shots; instead, take the time to find the very best compositions. 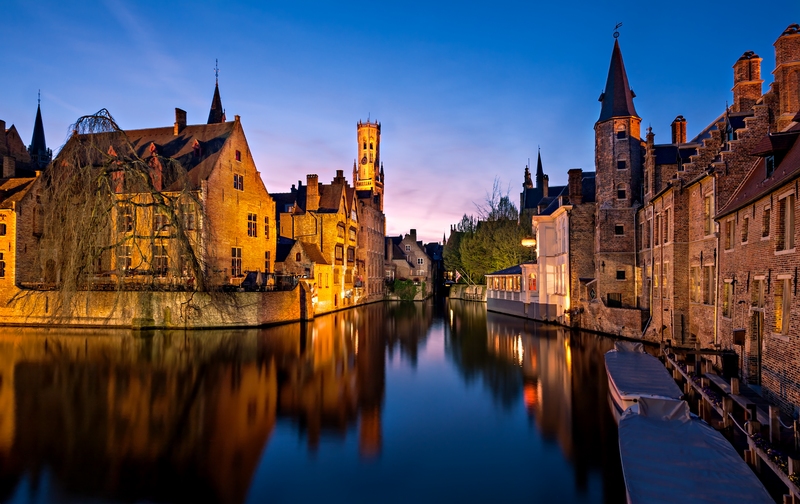 This stunning photo of Bruges by Barry O’Connell highlights the beauty of blue hour. Not only are the blue tones in the sky something to behold, but when they’re paired with the warm light on the medieval structures and the stillness of the water, you have the makings of a fine photograph. Nice work, Barry! A seldom seen view of the Tetons, this shot by KodaKevin includes a teepee, the housing of choice for the Shoshone Tribe up to the 20th century. 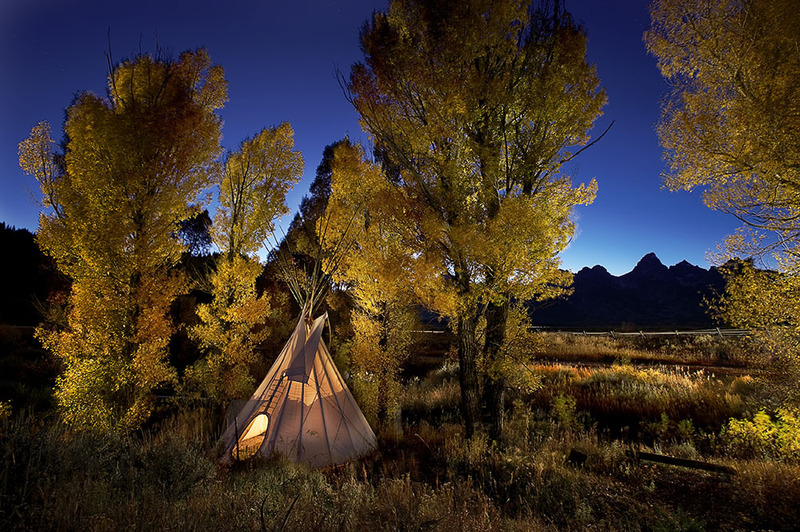 The hint of light from inside the teepee combined with the bright colors of the fall foliage and the silhouette of the Tetons make this an outstanding shot. 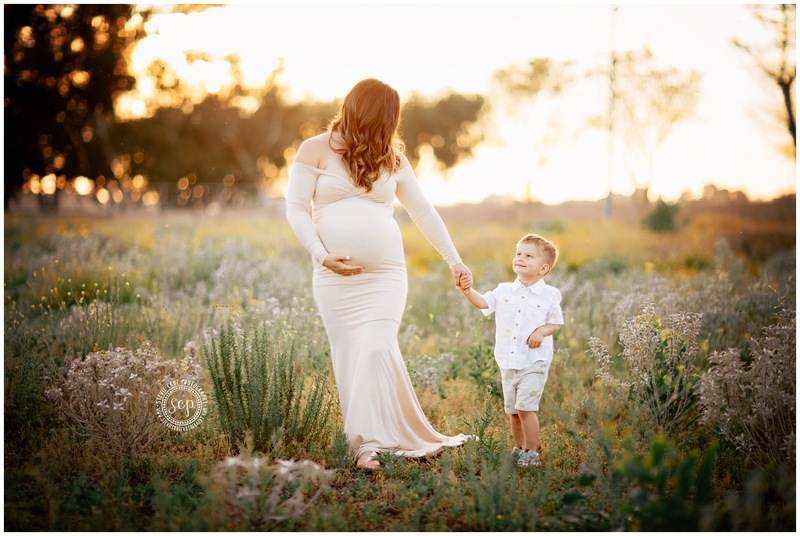 As this breathtaking image by Dax Photography shows, maternity portraits don’t have to be all about the baby bump. Instead, you can highlight the baby bump with the right wardrobe choices, but those wardrobe choices can also make the expecting mother look and feel like a million bucks. The elegance of this image cannot be understated! The lighting is certainly spectacular, but so too are the jagged mountain peaks that grab your attention and draw you into the shot. Notice how the sidelighting helps emphasize the textures of the landscape, which gives it more depth and definition. 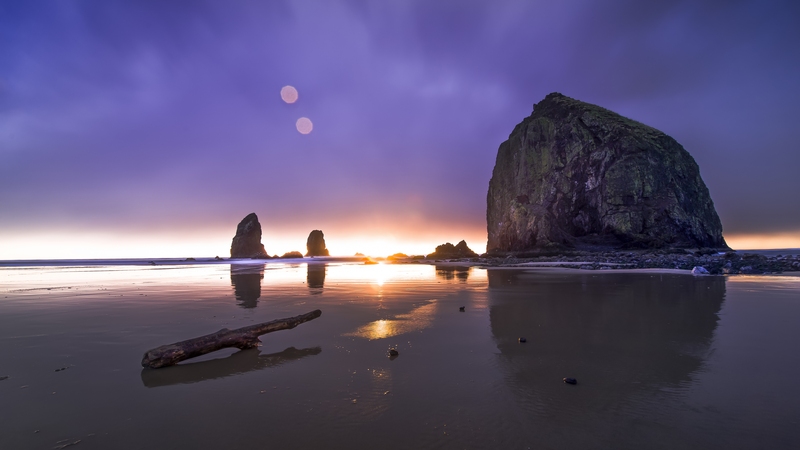 Joshua Snow shows us how important it is to have a focal point in your photos. In this case, the focal point is the deep cracks that litter the valley floor. The pattern they create is visually interesting, but they also help direct your eyes to the background of the shot toward the colors of the sunset. Great work, Joshua! What a stunning photo by Jennifer King! 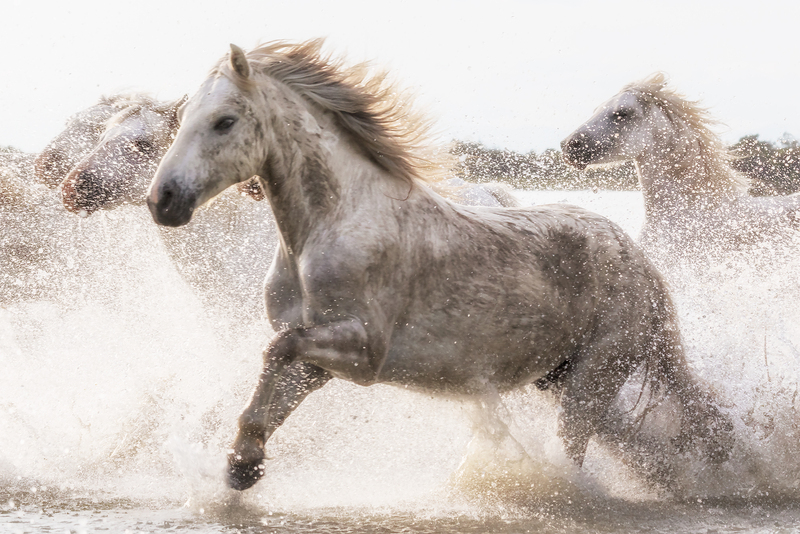 This image perfectly captures the beauty of these horses in full gallop across the field of view of the camera. Notice how the water droplets add a little sparkle to the shot and give it more depth. Good stuff, Jennifer! This sweet portrait by Stevie Cruz Photography shows the value of including loved ones in portraits. Instead of this being a shot of the expecting mother on her own, we get to witness a beautiful moment between her and her young son. Showing the relationship between two people is a great way to create a more compelling portrait! 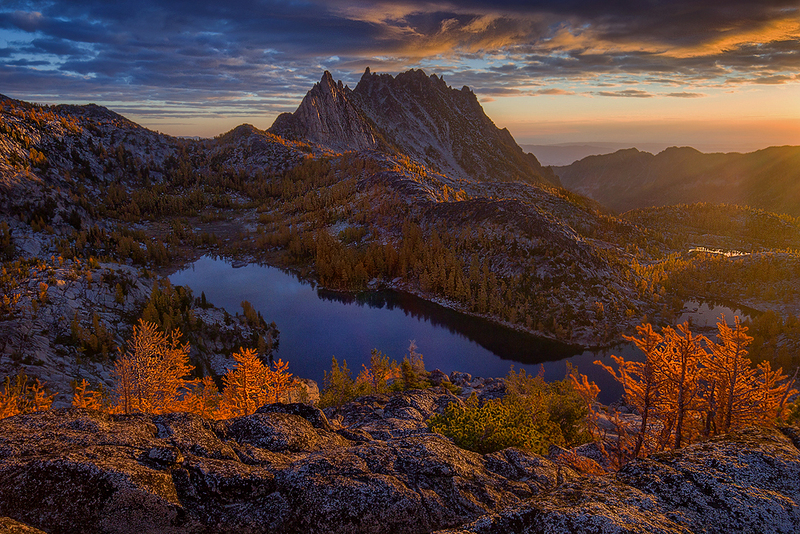 Destin Sparks is a master of landscapes, and this beauty is no exception! 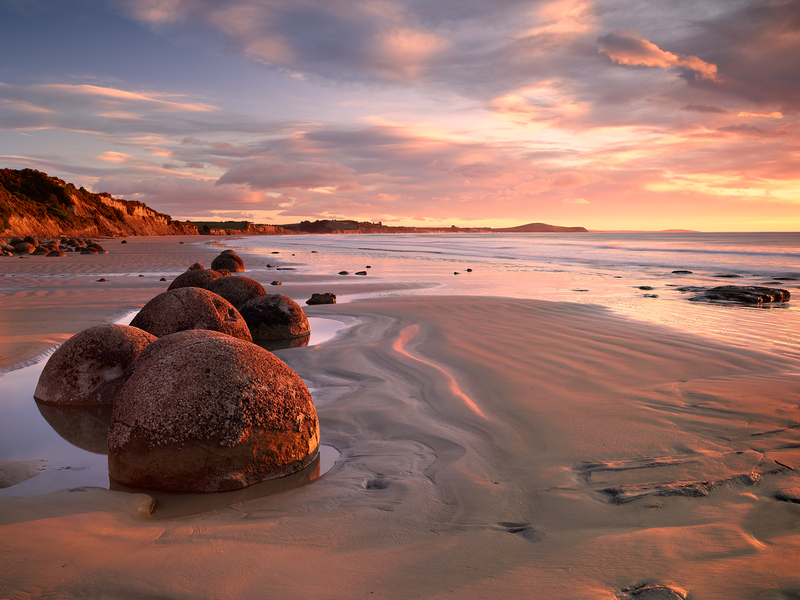 The use of the boulders as foreground interest helps ground the shot and provides some darker tones to an otherwise predominantly bright scene. Check out those “waves” in the sand...they make great leading lines, do they not?! 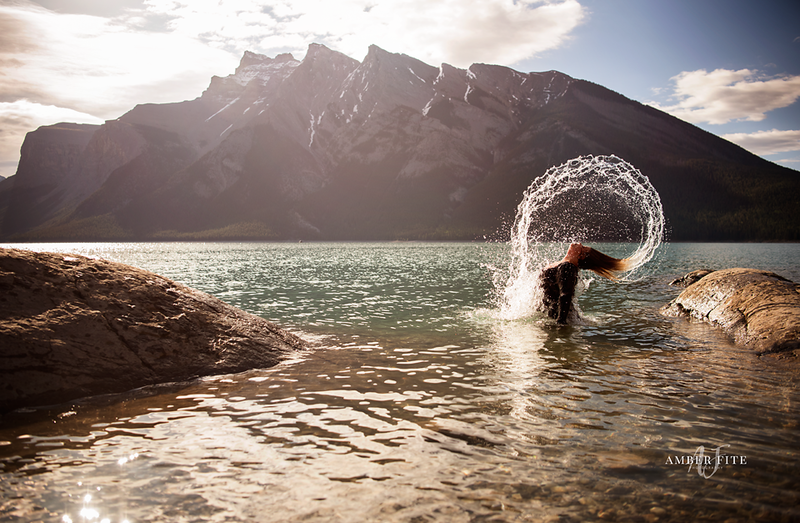 Dani Lefrancois’ photos of Banff are showstoppers, to be sure. 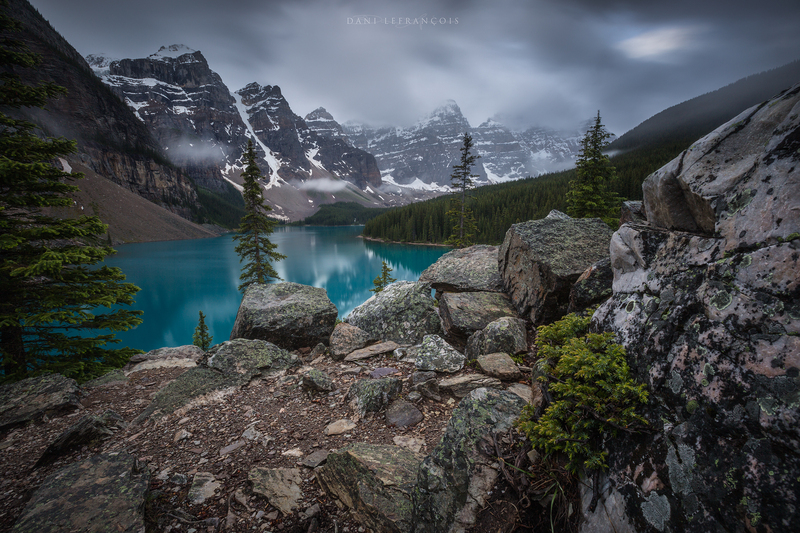 This shot of Moraine Lake offers a different view of this iconic landscape under the shroud of some low-hanging clouds. The inclusion of the boulders in the foreground - particularly the one that frames the right edge of the image - is a great trick for helping frame the lake. Great work, Dani! 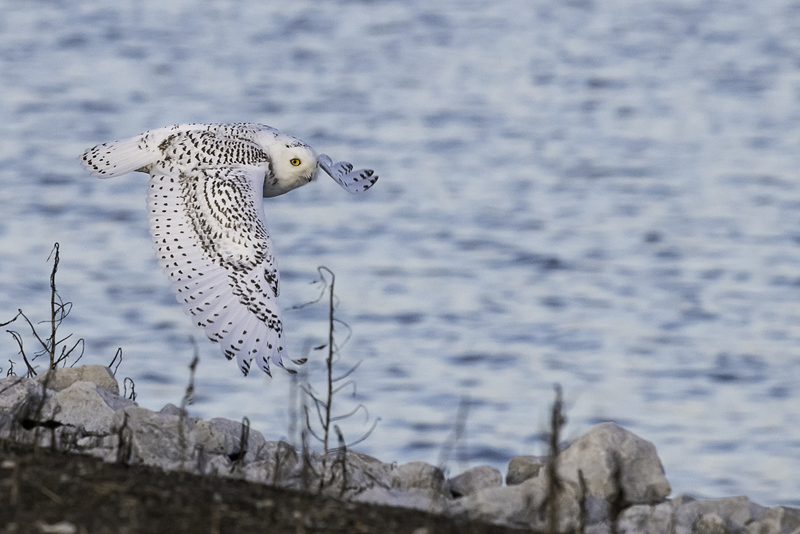 When taking photos of birds in flight, like this one by Kelly Todd, it’s important to maintain a fast enough shutter speed to freeze the bird’s movement. 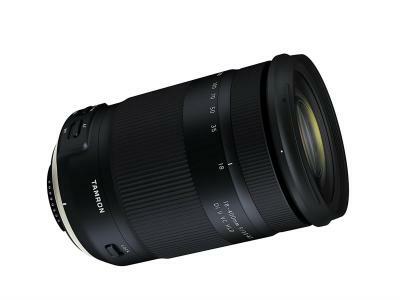 In this case, Kelly used an ISO of 2800 to help facilitate a speedier shutter. Notice how there’s very little noise in the shot, either! 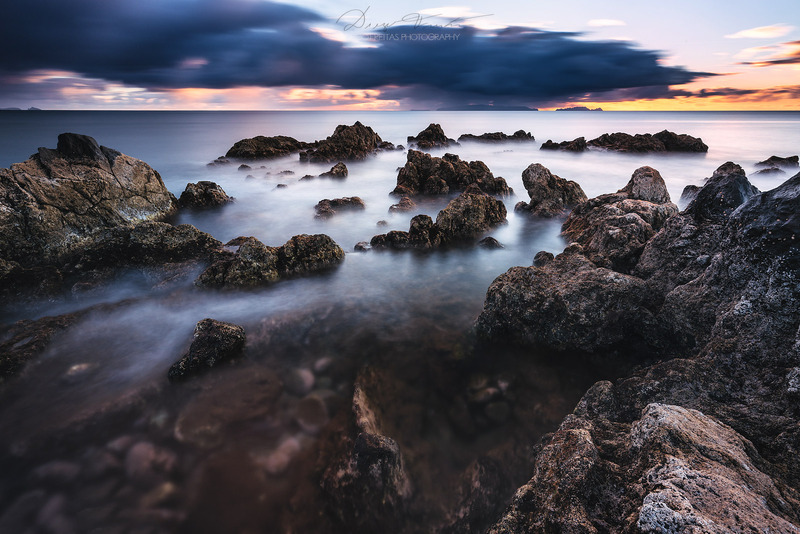 This breathtaking long exposure by Diego has all the makings of an awesome photo. There’s great colors in the background, textures in the rocks that give the shot depth, foreground interest to draw you in, dreamy clouds and smooth water...you name it! 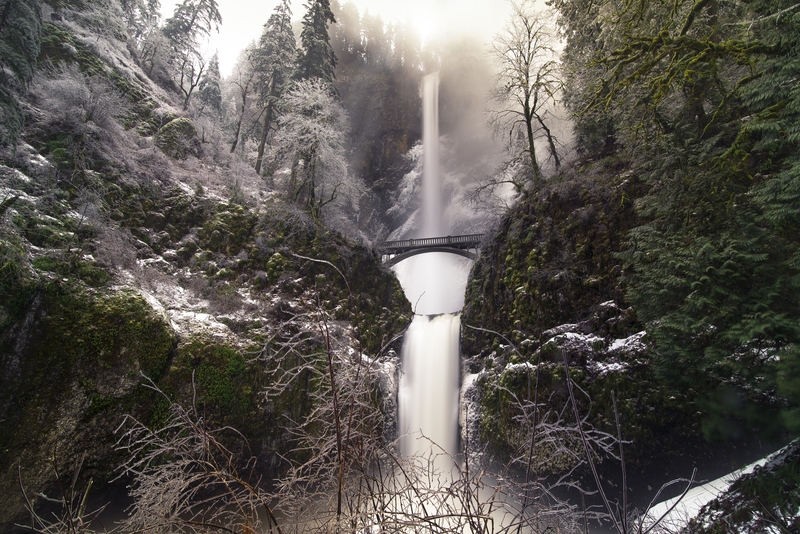 [email protected] has a beauty on his hands with this image of Multnomah Falls. Typically, you see this gorgeous waterfall from a higher perspective (and from a further distance as well). 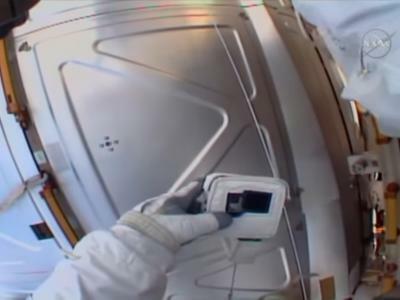 This shot just goes to show the value of looking around for new and interesting points of view! Larry Marshall’s beautiful shot of this reflection in Yosemite demonstrates how looking for alternative compositions can result in a gem of a shot. Rather than training his camera on the impressive mountains in the background, he created a more unique photo by making the river and bridge the focal point. Nice work, Larry! Adding foreground interest can instantly elevate the quality of your landscape photos, as seen here in this breathtaking image by Donnnnnny. The smooth waters of the waterfall are the perfect complement to the triangular-shaped mountain in the background. 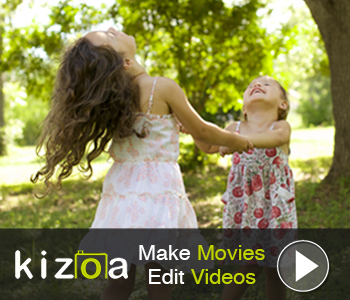 Together, they create a shot that’s got great visual balance from top to bottom. The focus stacking method he used to get as much of the scene in focus makes the shot even better. 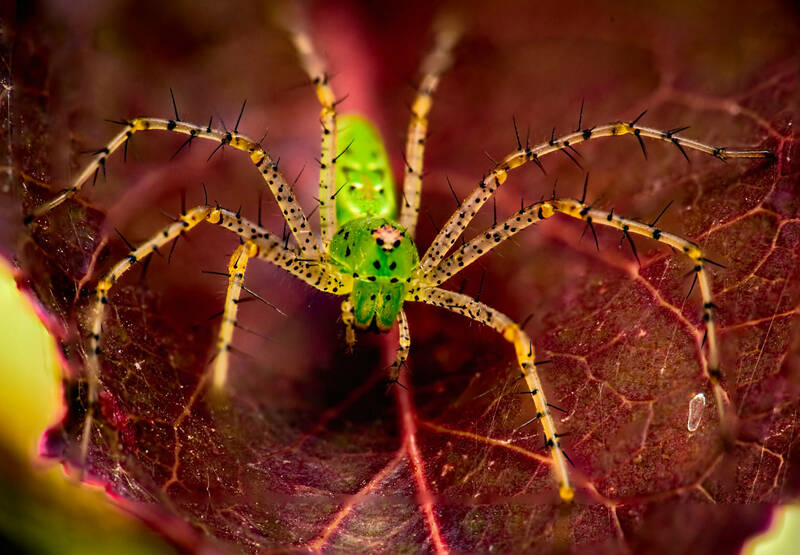 This little spider looks awesome! 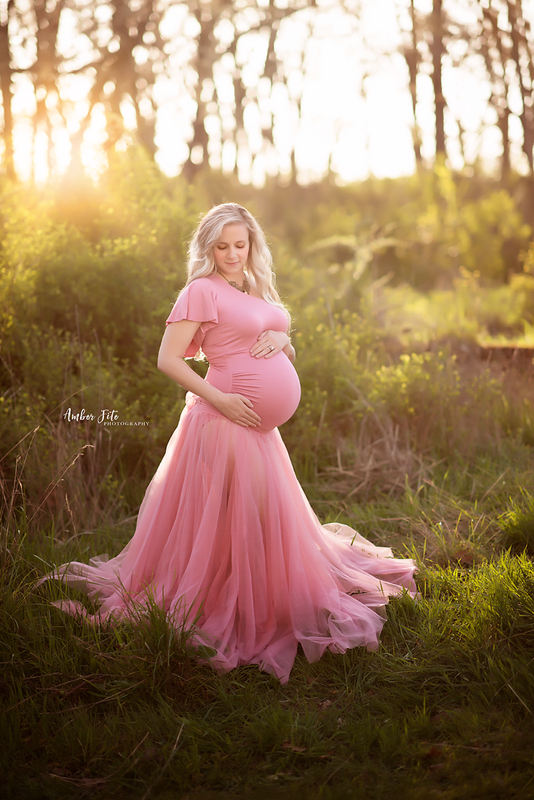 The combination of colors in this maternity portrait by Amber Fite show the value of thinking purposefully about color. The yellows and greens of the landscape complement one another well, and the use of the pink gown helps separate the model from her surroundings and makes her a stronger focal point in the frame. 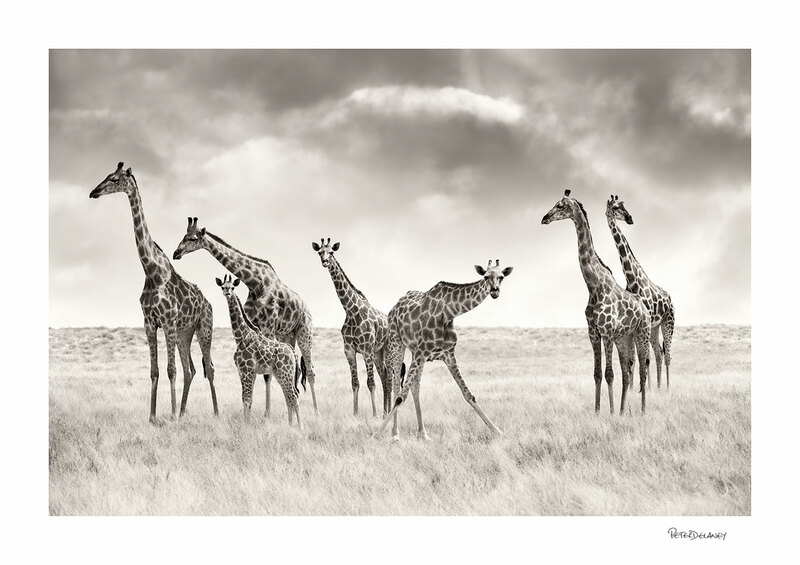 In this shot, aptly titled Tower of Giraffes, Peter highlights one of the essential aspects of black and white photography - including shapes and textures. The linear shape of the giraffe’s legs and necks give the shot structure while the pattern of their fur gives the image tons of visual interest. Shea puts on a show in this glorious macro shot. 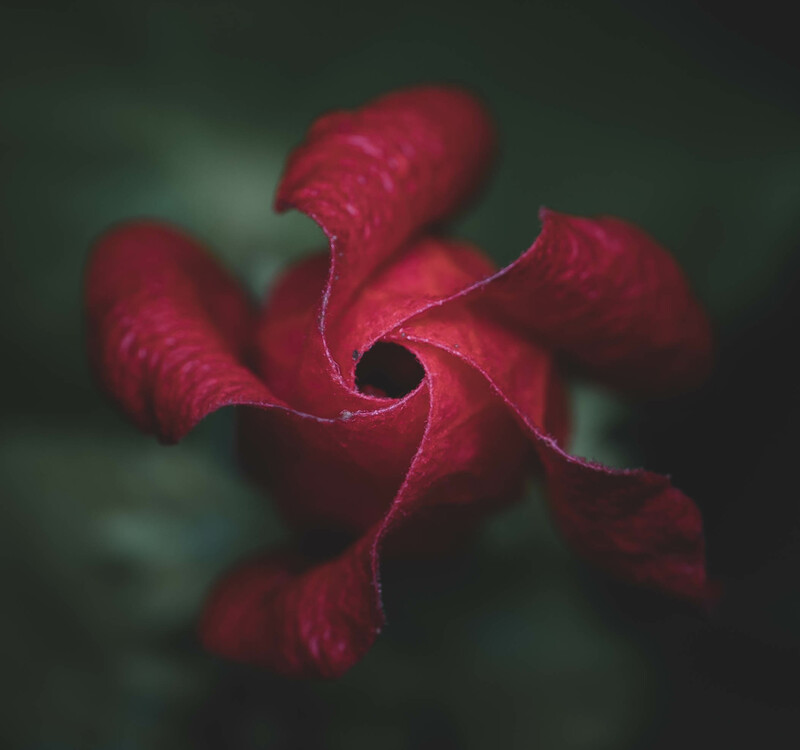 Not only is the focus perfectly trained on the rims of the flower’s petals, but the perspective of looking down directly onto the flower is spot on as well. 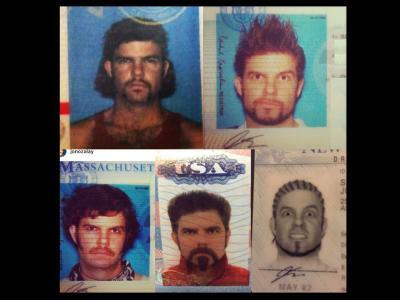 The symmetry of the image helps make it even better! 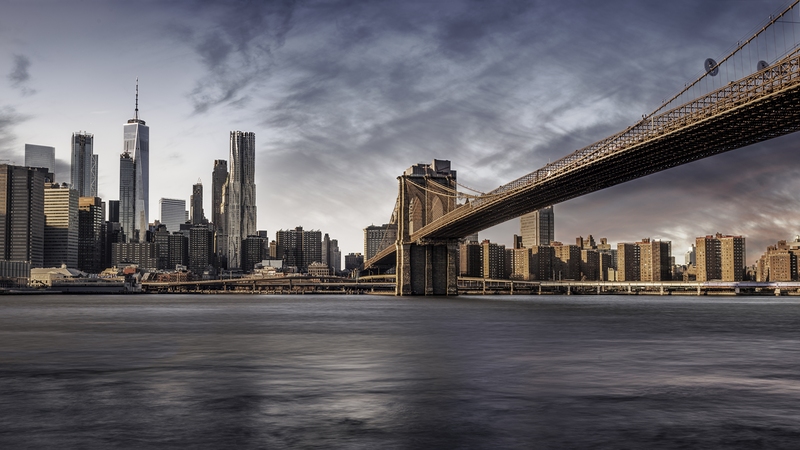 Long exposures of the New York skyline never get old. [email protected] shows how much more dramatic long exposures can be, with the turbulence of the water smoothed out to create an interesting foreground for the shot. 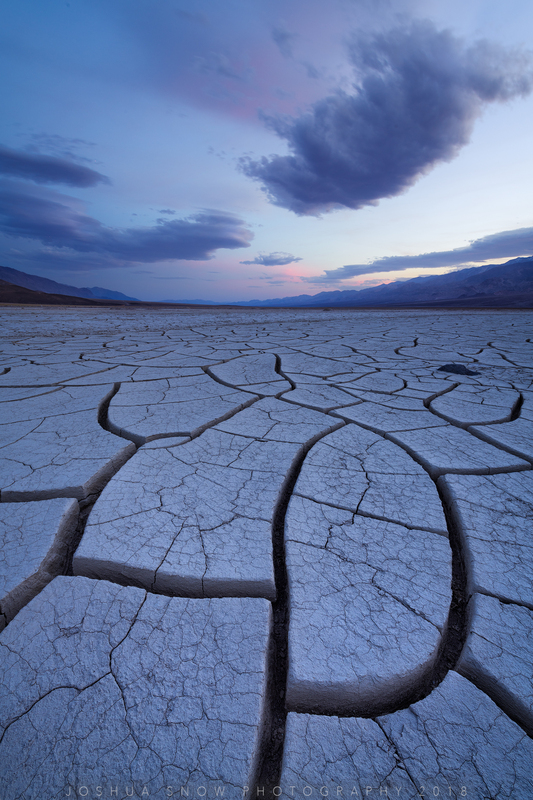 Though this looks like an abstract scene created by a computer, it’s actually an abstract landscape photo of Death Valley created by Jennifer King. 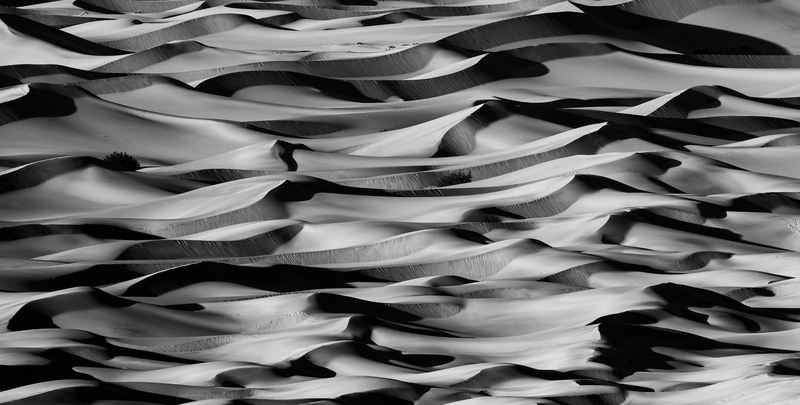 The shape of the dunes and the areas of light and dark in the landscape made this an ideal candidate for a black and white conversion. Just breathtaking! 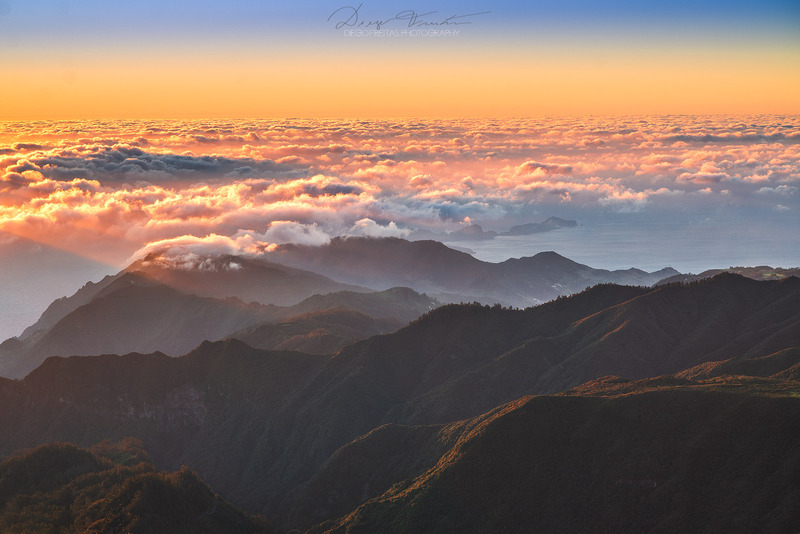 Diego captured this awesome shot at Madeira Island, Pico do Arieiro. The high perspective from which the photo was taken gives us a gorgeous view from above the clouds. Speaking of the clouds, the offer wonderful texture and richness to this photo! Oftentimes, photographers shy away from their clients wearing bold prints, but in this image shared with us by Sew Trendy Fashion & Accessories, the print works in the favor of the image. 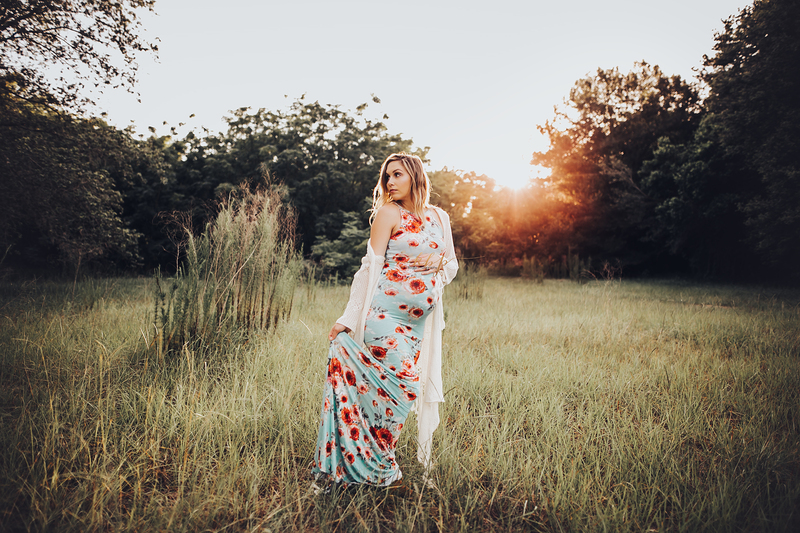 The blue and red tones of the maternity gown give this shot tons of personality and a little pop of color that works beautifully with the colors of the setting sun. 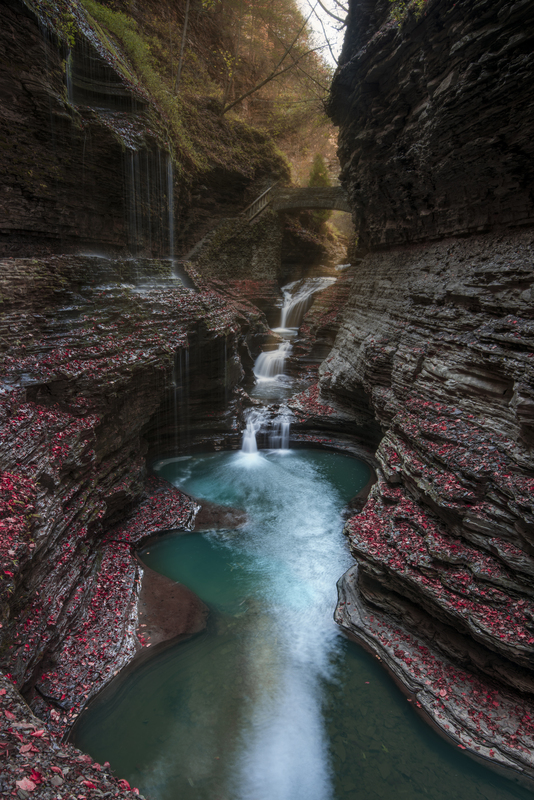 That’s the case in this shot by [email protected], who captured this jaw-dropping photo in Upstate New York. In this case, the blood red color of the foliage on the sides of the cliff steal the show. Don't forget to check out our daily Inspirational Photos to get ideas and find inspiration for your own work. Also be sure to upload your photos to the PhotographyTalk galleries for a chance to be featured!